The Payment Method is used to identify how a customer has paid. Examples are Check, Cash, Gift Certificate, etc. 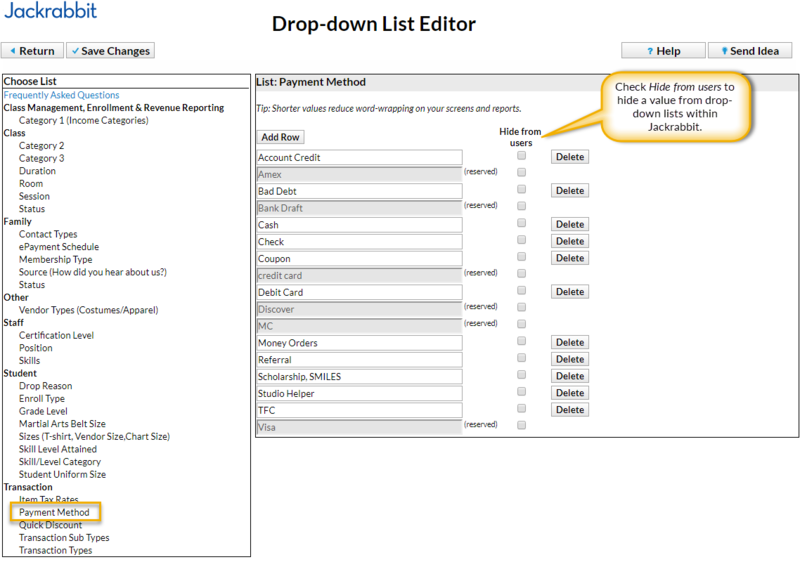 Payment Method drop-down values are added from the Tools menu > Edit Settings > Drop-down Lists. You have the option to hide a value in drop-down lists within Jackrabbit using the Hide from users checkbox.